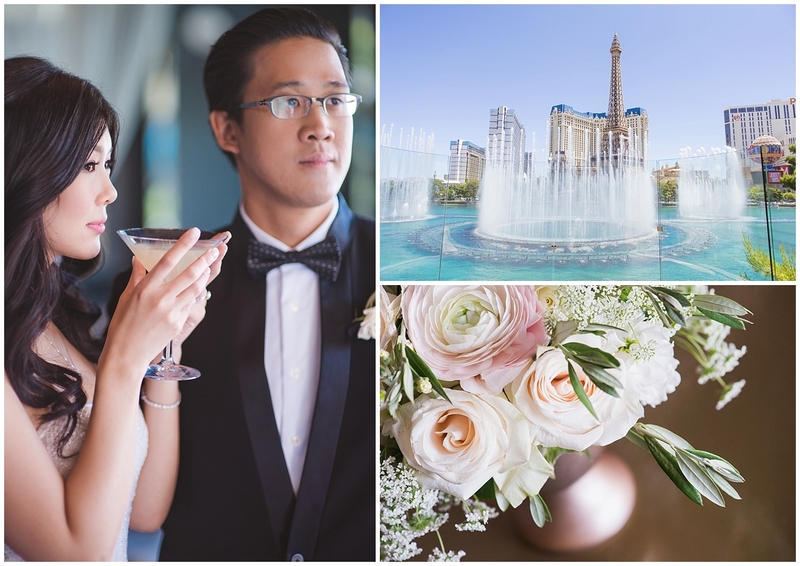 Ethel and Jonathan treated their VIP guests to an amazing wedding weekend on the Las Vegas Strip. All flying in from Hong Kong, they spent the week dining, dancing and enjoying the pool. 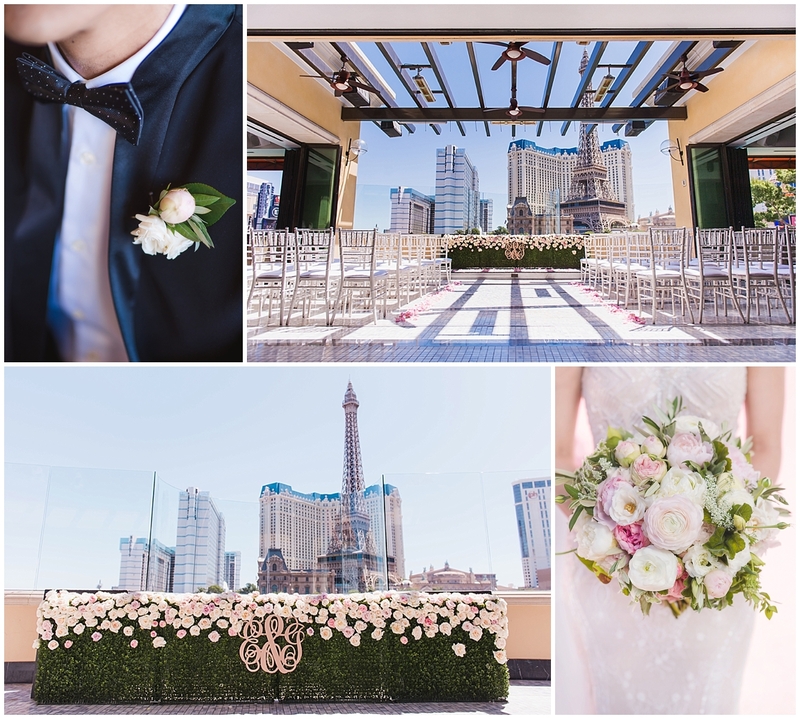 Their wedding day was beautifully planned beginning with the best seat on the Las Vegas Strip overlooking Las Vegas Boulevard and the famous Bellagio fountains at Hyde Bellagio. Ethel and Jonathan, along with their guests, dined and danced the night away under the stars on the Fountain Terrace of Four Seasons Las Vegas. Jonathan greeted all his guests like a true gentleman as they entered Hyde Bellagio to find an amazing view of the Las Vegas Strip. Ethel patiently waited to see her fiancé for the first time that day. Their ceremony was complete with their own vows and a fountain display as they kissed for the first time as husband and wife. The entire moment gave me goosebumps even though I knew it was coming. Everyone enjoyed a couple specialty cocktails at Hyde immediately after the ceremony while greeting the newlyweds and enjoying the view. While Ethel and Jonathan spent the afternoon with Chelsea Nicole cruising Las Vegas to capture gorgeous portraits, guests enjoyed lunch at some of Bellagio’s delicious restaurants. 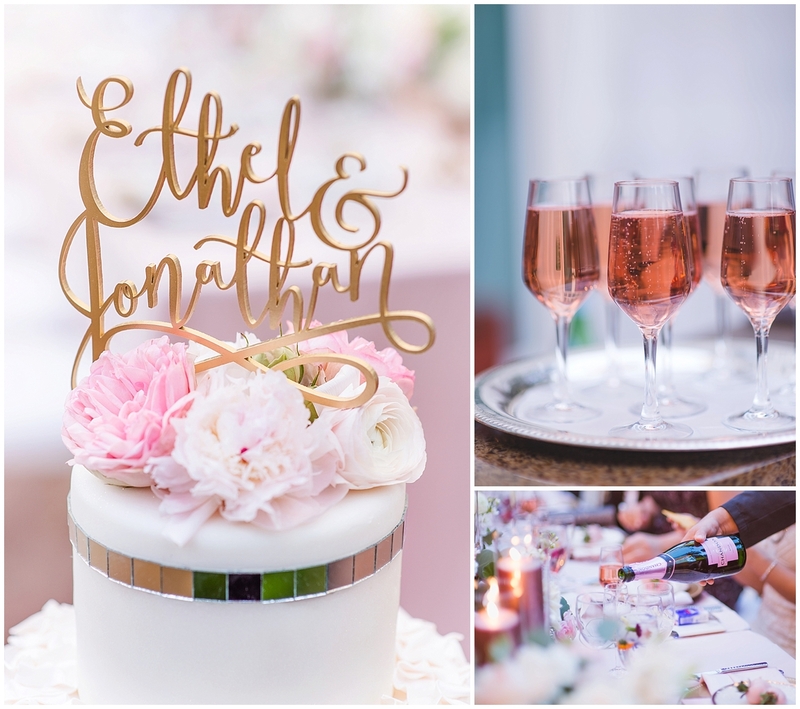 Later in the evening, guests were invited to celebrate Ethel and Jonathan in the most romantic blushing pink wedding reception ever. 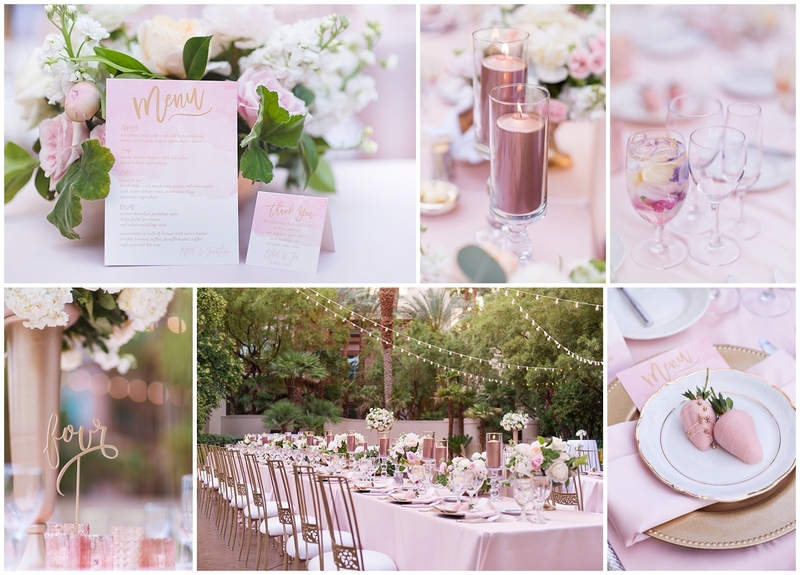 Blush pink linens surrounded by gold chameleon chairs surrounded the dance floor underneath beautifully lit bistro lights. Guests were greeted with delicate strawberries dipped in chocolate and perfectly decorated with gold touches. The strawberries rested on top of vintage blush and gold dessert dishes provided by Dirty Dishes. I’m still swooning over the gorgeous stationery provided by She Paperie and romantic floral and candles created by Layers of Lovely. Blush never looked so good! Although Ethel and I are continents apart, I wish her and Jonathan forever love and happiness. I cannot wait until they celebrate again in Las Vegas! See you soon love birds!